Affleck Tower is a well preserved, four-story L-plan tower house in the county of Angus, in eastern Scotland. The tower was built around 1460. Affleck Tower was built for defense and has projecting parapets along the top, with corner turrets and two square towers on the southern side. 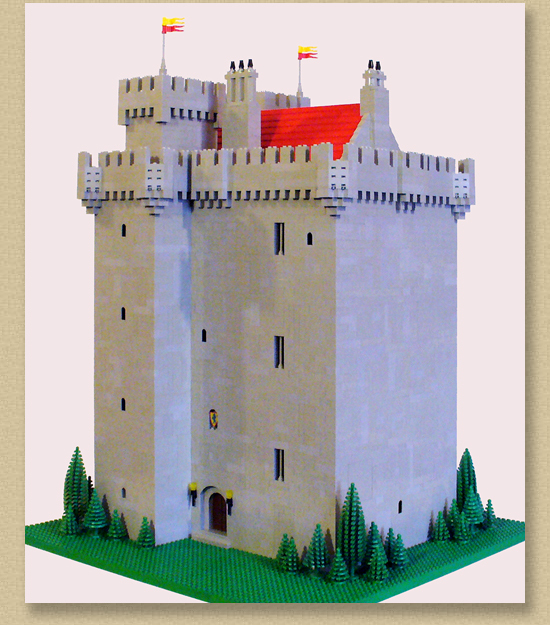 My reconstruction of Affleck Tower is 20 x 20 inches (64 x 64 studs) and is 24 inches high.